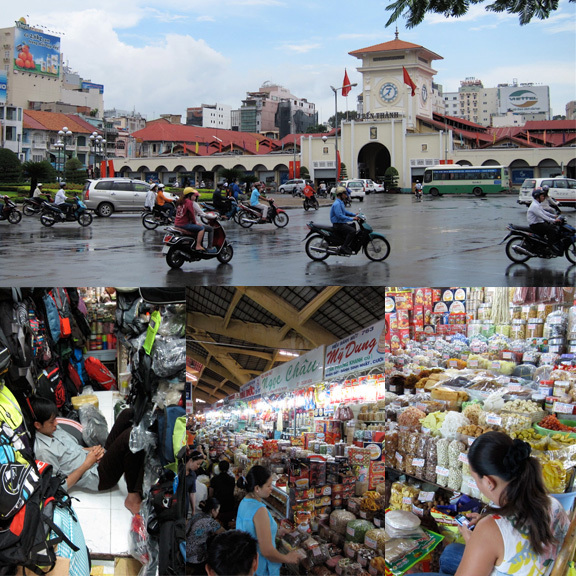 Ho Chi Minh is a very walkable city. If one wanted to, one could go around District 1 and cover everything in a day. But we were there to take it easy and enjoy the city (never mind the humidity). I made a list of establishments to seek out before leaving Manila but only ended up going to a couple for one reason or another. Nevertheless food was still there to be discovered. And here’s the rundown; not a “best of” in any way. Nor is it comprehensive; just things of interest over the days we were there. 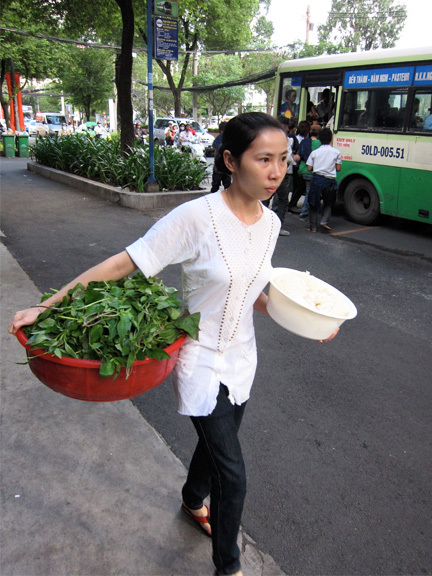 Walking along Pasteur Street with a bunch of herbs and rice noodles. Probably on the way to Pho Hoa Pasteur. Not related to the restaurant chain but this is probably the most famous noodle joint in town. I got a Pho Tai, the iconic Vietnamese noodle soup made by dunking rare beef slices in hot clear broth then topped with lots of sprouts, chilies and a squeeze of lime. Plates of Thai basil and culantro (sawtooth coriander) are also provided on every table so one can add the herbs as desired. 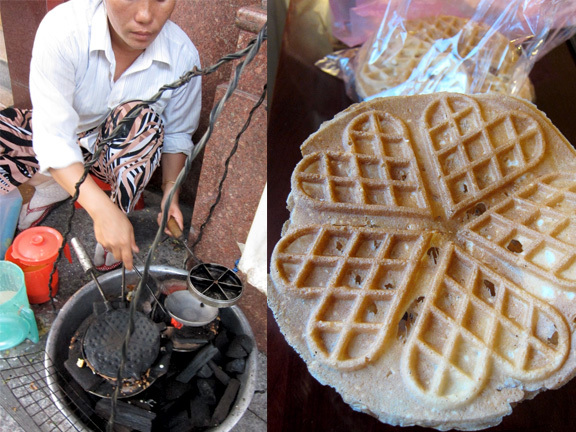 You can enjoy this with you tiao (bicho) as well. For the squeamish, the beef gets cooked to a perfect medium from the heat of the broth. The taste was extremely clean. With the local herbs having this more astringent quality to them. The heat from the chili builds up over spoonfuls and was not in your face. On the street you find all these interesting eats. 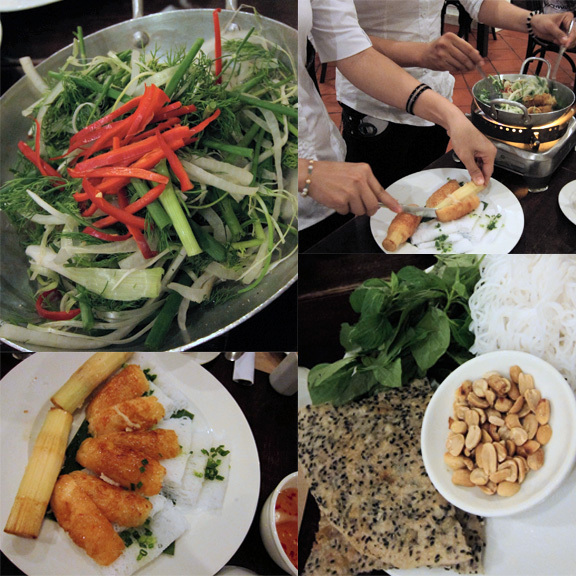 Above is Banh Trang Nuong. 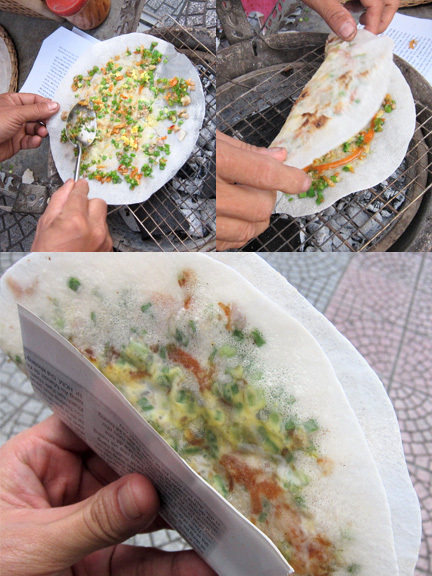 Like a Vietnamese taco; the shell being made of rice paper which is placed on top of coals to slightly puff and crisp. Ground pork, green onions, margarine , dried shrimp, sweet chili sauce and quail eggs are smothered quickly on top then folded before everything gets burned. It is delicious. Which explains why all the rest who lined up probably had five or six pieces in hand. Bo Bia, or spring rolls made with wax sausage, sauteed radish (or jicama), eggs, dried shrimp and herbs. Served with a sweet peanut sauce on the side. 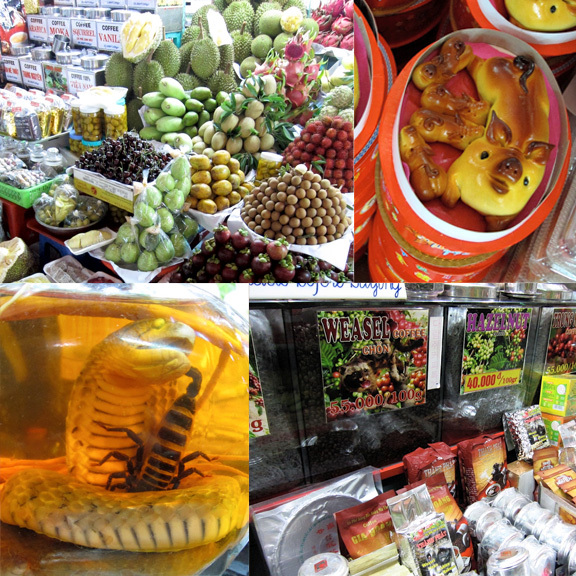 At the Ben Chan Tanh Market. You get a mix of dry goods; with the food section towards the middle and rear. There are plenty of pristine looking fruits. Some porcine shaped bread. Cobra and scorpion wine for virility. And of course weasel coffee; which is probably the best thing I’ve tasted to come out a mammal’s behind. But really haggle hard in Ben Tanh. It’s a very touristy place and so are the prices. The fruits you can get for half the price on the sidewalks just outside the market. And probably cheaper in the groceries. 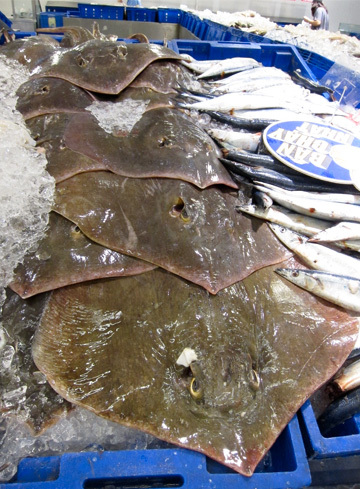 Stingray. Not sure if this is regularly available or just available for that day. At Lotte Mart out in District 7. How the heck do you even start cleaning one of these? Dinner at Quan An Ngon (aka Ngon). A couple of stuff we had were Chao Tom, or minced shrimp wrapped around sugar cane sticks then grilled, and Cha Ca La Vong. 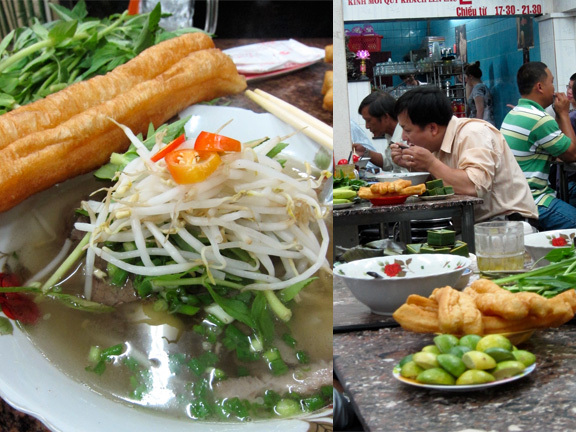 The latter is a Hanoian dish made of fried fish mixed with dill, green onions, basil, cilantro and turmeric. It’s tossed table-side then you spoon a serving over crisp rice crackers. 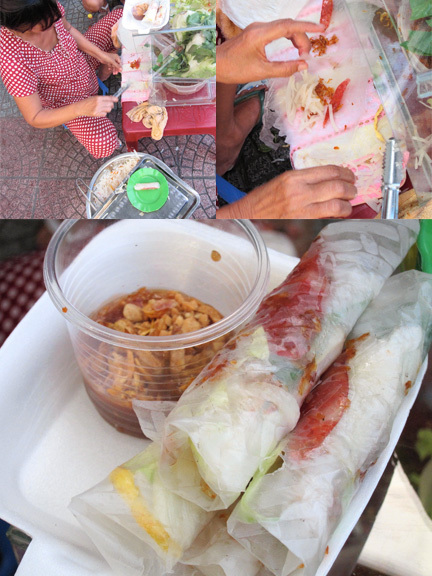 Practically everything else is eaten with a bunch of herbs wrapped in vegetables or rice paper. 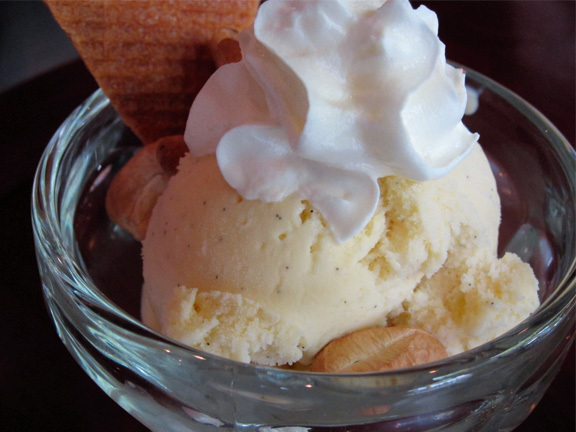 Vanilla ice cream at Highlands Coffee. Notice the flecks of vanilla bean. 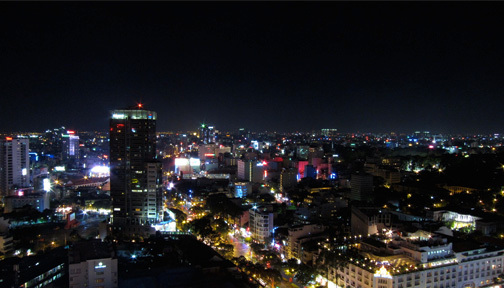 The view from the Wine Bar atop the 23rd floor of the Sheraton Hotel on Dong Khoi Street. A pretty decent selection of bottles available. It’s a quiet(er) alternative to the handful of rooftop bars in Ho Chi Minh that usually have showbands playing. On left: frying the eggs while prepping the bread. On Right: toasting on top of coals while waiting for the eggs. 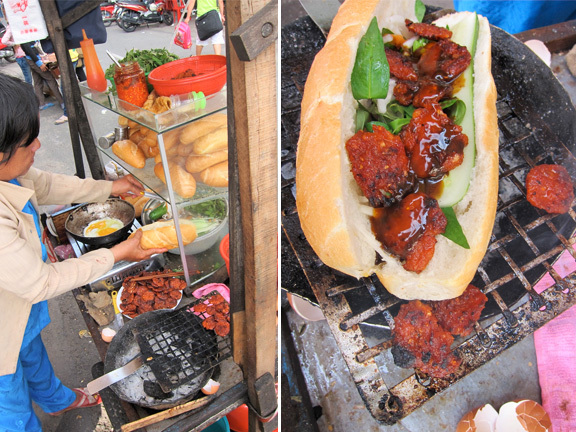 There are many types of Banh Mi but this particular one I tried was made of ground sweet pork sausage along with the requisite herbs (I forget if it was basil or coriander). It’s then drizzled with a sweet brown sauce and chilies then topped with, not one, but two fried eggs. It is messy. But delicious. The baguette alone was ethereally light and crisp. Sausage and eggs; how can you screw up a combination like that? MOF (Ministry of Food) is actually a Japanese dessert place of Singaporean origin, but hey, they still serve a good Matcha Warabi Mochi. 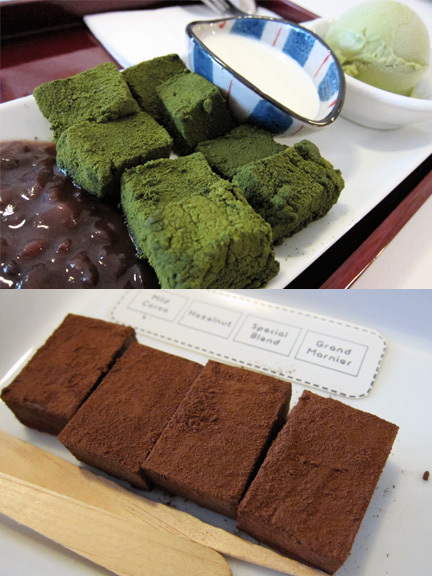 Green tea dusted mochi squares served with sweet red beans, green tea ice cream and thick cream. They also carry handmade nama chocolate in a variety of flavors. 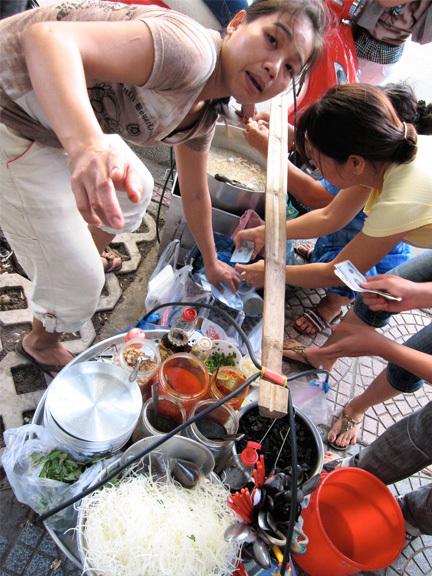 Back on the street: selling Goi Kho Bo (Vietnamese style green papaya salad topped with beef jerky) on her mobile kitchen. Everything prepared ala minute. Of which she also sells Sup Cua, or a crabmeat soup but with a stickier consistency like maki mi. I love waffles. And thin crispy ones are the best. This lady makes these one by one with her tiny cast iron griddle. There’s a slight hint of coconut and sesame seeds with each bite. And not too sweet. A lot of food and a lot of pictures. But I still feel we barely made a scratch on the surface. You had me at mammal's behind! Seriously though, I am a fan of Makimi and other soups with thick consistency. Was the Sup Cua any good? 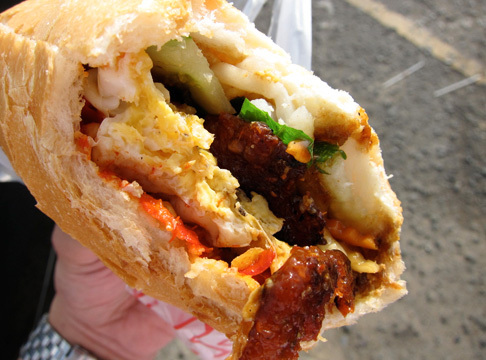 That banh mi shot is riveting. Happy travels, Paul!